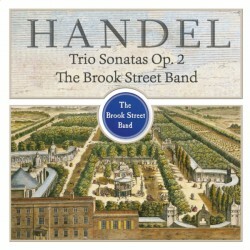 The Brook Street Band has easily earned its reputation as “the smartest new baroque band around (The Times, London). Among today’s most notable Handel specialists, the all-girl group follow their ear-opening recording debut, the world-premiere chamber version of Handel’s ‘Oxford’ Water Music (AV 0028) which earned the ensemble an Editor’s Choice from Gramophone, and a sparkling rendition of the Op. 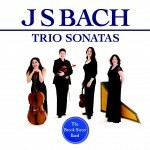 5 Trio Sonatas (AV 2068), with the composer’s other great set of Trio Sonatas, Op. 2. An utterly memorable collection of works that features Handel’s imaginative “re-heating” of his own popular tunes, the recording once again brings forth the Band’s sheer pleasure in sharing the composer’s wonderful music.